While M. Night Shyamalan had a promising start in his career as a film director, coming out of the gate with THE SIXTH SENSE, and following it with UNBREAKABLE and SIGNS, his more recent movies have left a lot of to be desired. Sometimes having a lot of success early on can hinder the abilities of an artist, and it’s perhaps safe to say that Shyamalan has spent the last several years trying to live up to the early part of his cinematic reputation. Sadly, his name has become one moviegoers have lost faith in, but everyone in Hollywood is capable of a comeback… his new film AFTER EARTH, starring Will Smith and his son Jaden Smith, is a step back in the right direction. Set in the future, where Earth was destroyed by its inhabitants, humans have gone to live on other planets and find themselves at war from time to time with alien creatures. These creatures, called Ursa, can track humans by the pheremones released when people are scared – they literally smell our fear. Some humans have adapted to show no fear at all, becoming invisible to the nefarious attackers – this is known as “ghosting”, and the top military man who rules at it is Cypher Raige (Will Smith). 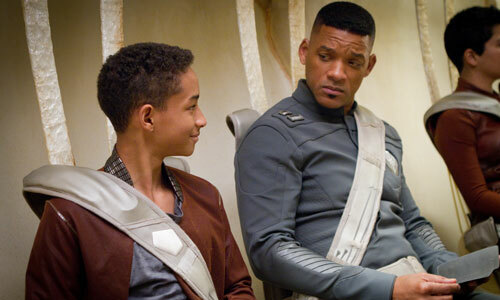 His son Kitai (Jaden Smith) wants to live up to his father’s reputation, but is too impulsive and eager for his own good, and isn’t successful in his efforts to become a ranger. In hopes to bond a bit and spend some quality time together, Cypher and Kitai board a ship on a mission through space, but an asteroid storm damages the hull and the vessel crashes… on what used to be Earth. Now the creatures on the planet have evolved, and humans are easy prey. The only chance they have of getting rescued is recovering a beacon that rests in the tail section, which crashed away from them on the planet. Cypher’s legs are heavily damaged, leaving Kitai as their only hope for survival, but can a boy who isn’t ready for the most basic military duty have any hope of overcoming such a hostile environment? There seems to be some animosity among certain film fans, in that folks find it easy to say Will Smith is “buying” his son a movie career. While nepotism is nothing new in Hollywood, Jaden’s film work has been heavily influenced and in some cases financed by his dad, but if he’s good at it then where’s the harm? Truth be told, he is pretty good, and AFTER EARTH is evidence that this young man may be poised to become a big star if things keep moving along the way they have been. I also have to look at the movie from the eyes of a man who once was younger and enjoyed adventure films with teenage protagonists. In my day, movies like THE GOONIES or EXPLORERS captivated my youthful mind and helped me daydream of what really cool adventures could be. 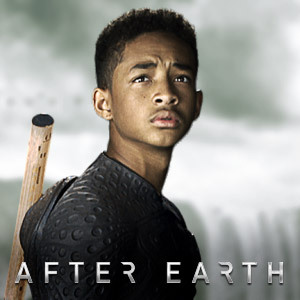 AFTER EARTH might be called the modern day equivalent of those flicks for today’s kids, giving them an exciting and out of this world cinematic journey that stimulates the imagination and plays to the most basic elements of a father and son story. That story, incidentally, was actually conceptualized by Will Smith and adapted to a screenplay by Shyamalan and Gary Whitta. If you want to accuse Will of coming up with the story solely to give Jaden material to work with, so be it, but it doesn’t mean it’s not effective on screen. On the subject of acting, we all know Will is capable of greatness, and commands attention from moviegoers. 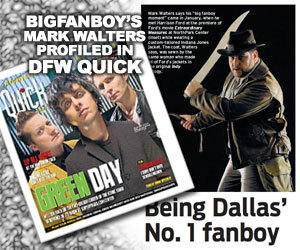 He’s a likable and relatable star, and has an undeniable screen presence in almost all of his films. That said, this role is not a typical one for the seasoned actor, but rather an unglamorous and cold performance – a military father who thinks in analytical ways, so much that his family relationships are strained greatly because of it. While Will has a considerable amount of screen time, make no mistake, this is Jaden’s movie. The young man jumps into several action sequences, and looks convincing doing it. As with most stories like this these days, there’s heavy use of CGI for the creatures our young hero must face, but he sells it and allows the audience to accept what they’re seeing as reality in that moment. Even the most obvious CGI animals become passable, thanks greatly to the staging of each scene, and the tight editing and effective score by the always-great James Newton Howard. I should note, Howard has composed music for all of Shyamalan’s movies, and his work here is top notch, perhaps one of the best scores to come out of their collaborations. There are good supporting performances from Sophie Okonedo (as Cypher’s wife) and Zoë Kravitz as the ill-fated sister to Kitai seen in flashbacks. It’s rather amazing in one scene how much Okonedo and Kravitz look like each other, making the mother/daughter concept very believable. Also look for the great Glenn Morshower in a brief role toward the beginning, doing what may be his most unusual accent to date in a movie… and looking back on Glenn’s career, that’s saying a lot. To close this out, I now turn the focus on Shyamalan, since he essentially brought all of this together. The studio has (perhaps rather strategically) downplayed his name on this project, though it’s boldly in your face when the end credits roll, and in some ways may serve as a notice that he’s getting back on the right track. I’ve always felt like Night knows how to stage scenes and direct actors well, but his writing in recent years has perhaps become stunted by audience expectations, and his own self doubt as a filmmaker. Just imagining what it must be like to become so famous off your first film project, and having folks wonder how you could top it each time – that kind of pressure must be extraordinary. 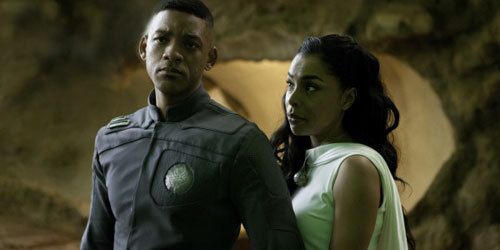 AFTER EARTH is not a perfect return to form, but it is a solid piece of entertainment. No big twists or unexpected reveals, just an intense adventure story that families could watch together and be thrilled by. It takes a little while to get going, which is perhaps its biggest and only major flaw (the opening scenes establishing Kitai’s home life and military training probably could have been left out all-together), but once things kick into gear we’re along for the ride. At an hour and 40 minutes, AFTER EARTH feels longer than it is, perhaps because it’s such an epic story, but it never comes across as overly-ambitious which is certainly a danger with these types of movies. There’s also some scenes from the trailers and TV spots that didn’t make the final cut for one reason or another, including a sequence where Jaden was chatting with THE HUNGER GAMES star Isabelle Fuhrman (perhaps she was a potential girlfriend in the story? ), and a zebra/horse creature stampede that almost tramples Kitai – neither scene is in there. If the studio is smart they’d push this heavily with Father’s Day coming up, as it’s a pretty safe ‘father and son’ moviegoing experience. 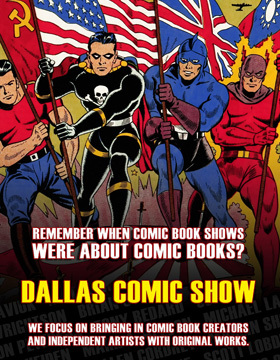 I can’t say I necessarily loved it, but I enjoyed most of what was there, particularly the artistic production design. I admire the effort put into the piece, and I have to say I’m happy to see Shyamalan once again showing he can make entertaining movies that work just for what they are… not what he or anyone else thinks they need to be. this review just goes to show you how easy it is to buy a good review in Hollywood. After Earth was atrocious, and any professional critic that respects film can see that. I just can’t wait in 10 years Will Smith admitting how bad this movie was, this guy is gonna look like an idiot. No money exchanged hands here. Movies are subjective, some people like what others don’t, doesn’t make either party wrong. I’m not the biggest fan of Shyamalan’s recent work – hated The Village, never even finished The Happening, and Airbender seemed bland. I went into this one with low expectations, granted, but I also enjoyed it from the perspective I would have if I was still a teenage boy with a wild imagination. This is a young adult Sci-Fi adventure, and father/son story of survival. I’m sorry you didn’t like it, but to each their own. I would never let anyone “buy” a review. THIS IS AN EXCELLENT FILM. and discuss the concept of fear on the way home. them when it comes to Black film is an idiot. to Black male relationships to have emerged in a decade or more. youth of all colors to witness. As a media professional I could not recommend it more. You say you saw it through a teenagers eyes, but this movie was awful for everyone. I may be older but 19 is still in the teens and M. Night is an awful director sixth sense is his only good movie. Unbreakable is decent at best. Mostly because Bruce Willis is a great actor. This movie was bland and most reviewers are supposed to be hard on movies because that’s their job. If every movie was considered good than no one would be. Blism1 – you’re making a blanket statement and assuming because you didn’t like it then “everyone” won’t like it. Movies are subjective. Just because you hate a film doesn’t mean others won’t like it or find something in it to appreciate. Also, I personally liked Unbreakable, a lot actually. I also liked Signs. Since then Shyamalan’s work has been a letdown, granted, but I enjoyed After Earth more than I though. If you read my review, you know I mentioned multiple times that it has problems and is definitely not a perfect film by any means. That said, I think a lot of people are being harsh on it for judgmental reasons, such as not liking Shyamalan’s recent movies or because they feel Will Smith was ‘buying’ his son a film role. I saw past that, and enjoyed what was there. I’m sorry you didn’t feel the same way, but I won’t tell you you’re wrong for it, as that’s not my place to do… I expect the same courtesy.